Last weekend, 20th and 21st Dec 2013, the church of Glad Tidings PJ had its Christmas Presentation through a Musical Drama. More than just a presentation, however, the event was aimed to reclaim back the message of the Miracle of Christmas. It’s Christmas Eve today, and tomorrow, Christians all over the world will be celebrating one of the greatest events in the Christian calendar. People celebrate this year after year, so much so that many have taken the season of Advent for granted. For many, it is a time of gift exchange, going to expensive restaurants to eat, singing a few Christmas carols, and then coming together somewhere – whether in a friend’s house or visiting a church – for fellowship. These are all good activities in themselves, but sadly, for many, throughout all this, the magic of Jesus and His birth is missing from the picture. Do you know that Christmas itself commemorates one of the most astounding events in the history of the world? It is nothing less than God graciously lowering Himself to take the form of a human, and taking the first step towards making an unfathomable sacrifice for all of us. It is an event that is so unbelievable, so much so that many people regard this as fantasy or heresy. Glad Tidings’ musical drama event ‘Miracle of Christmas’ aimed to change this, and people’s insight into the wonder of the season. The Musical Drama started on a familiar note with a precocious child asking about the reason for Christmas. She has a realization that Christmas signified something remarkable. From there, the Drama really fired on all cylinders. It encompassed a whole variety of Christmas scenes, musical forms, takes us back in time and again to the present. It opened on a high festive note with a Celebration scene, full of colour and movement, presented along with the theme song of the drama. The scene then moved to a distinctively Malaysian setting; a hawker center. This is one of the showcases of the Drama, with Glad Tidings’ very own Stomp team performing a physical theatre that the British percussion group (stomponline.com) made so famous. Using everyday items like cups, plates, forks and spoons, barrels, and water coolers, and with some of the hawkers using items like chopping blocks and woks, they created a vibrant scene at a typical hawker center, not just visually, but also musically. Some of the performers were as young as 10-12 years old. We were then taken back to the time of Jesus’ birth with a video presentation, of the story of Mary and Joseph’s first meeting and early life with each other, along with a rap song detailing their story. This was one of the only non-traditional songs, besides Glad Tidings’ theme song for the drama. The drama told the story of Jesus from his birth to the age of two. It included all the main points of the Nativity story, including the emotions of Mary after receiving the news, and later, as a young mother; the visit of the Shepherds, accompanied by a choir performance with just a touch of contemporariness to it including dances; and the visit of the Magi, with two performances highlighting this: a skilled performance by young drummer boys of ‘The Little Drummer Boy’ accompanied by a vocalist for the song, and when the Wise Men appeared themselves, the song ‘We Three Kings of Orient Are’. Most of the songs were traditional ones like ‘Carol of the Bells’ but all of them were given a touch of contemporariness, a perfect blend with just a tinge, so that it doesn’t become insipid or in low taste. Throughout, it was clear that Glad Tidings PJ was an immensely musically-gifted church, with performers as young as those in primary school participating with extraordinary confidence and skill, something of which I personally feel is a blessing from God, as all such great gifts come from God. Besides the drama itself, a short message was also shared about the true meaning of the miracle of Christmas by Rev Dr Vincent Leoh, the main pastor of the church. Rev Leoh shared that most people’s picture of Jesus during Christmas was of that of a baby in a manger, but this lowers Jesus to a helpless baby in need of human support. The truth is far from that; the Bible tells us in John Chapter 1:1-5 of the Eternal Word. Sometimes, without realizing it, we fall into confining Jesus as being birthed during Christmas. The truth is Jesus did not have a beginning, nor did He need one. He was there at the very start, before there was Time itself, Eternal and Glorious. 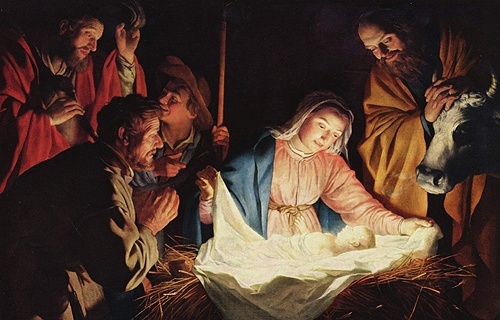 The baby during Christmas was an ultimate act of God’s Love and Mercy for mankind. The Miracle of Christmas is two-fold. Firstly, it is the Miracle of the Incarnation; that God would love us so much that He came as flesh for us. This was the Almighty God, the Creator of the whole Universe, and the Third Heaven with all its angels, and every single thing on Earth, taking on the lowly form of a man, just so that we could have hope and reconciliation. Secondly, it is also a Miracle of the Dwelling; God as Immanuel, ‘God With Us’. This coming of Jesus to dwell among us was foretold in the Bible years before the event in Isaiah 7:14, and came to fulfillment as told in Matthew 1:23. No other religious leader can claim this. Jesus is not just a man; He reduced Himself to be one of us, going through all the experiences and any struggle that humans go through. More than that, He chose to come into the family of a poor carpenter and not in a palace somewhere. 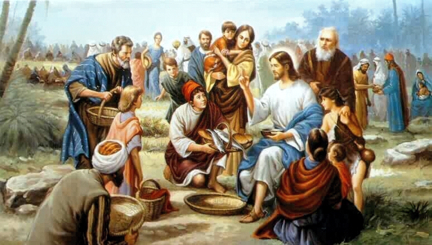 He chose to dwell among the poor. This is a miraculous love on a scale that we cannot fully grasp. “Behold, the virgin shall be with child, and bear a Son, and they shall call His name Immanuel,” which is translated, “God with Us”. What does it mean that God comes to dwell among us? 1. Firstly, it means that God is for us: This is testified by the act on Calvary; the very fact that God Himself chose to die for us. Of all the things He did, His greatest gift of love was this act on Calvary. The choosing of Mary, the pure virgin, was not an act of accident. She had the purity necessary of God. Without trivializing it, this is the very act that gave us hope. With it, there is hope from the release of the burden of sin. Without this hope, we are indeed lost. 2. 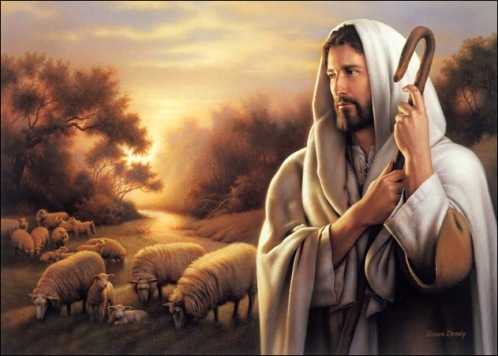 Secondly, it means He is upon us: He came to deal with our weakness. All of us struggle with weakness. Despite sometimes feeling like we know all the answers, the fact is we don’t. We need God, and we need to walk with Him. He knows us, He comes to be with us. Anything that is done by us for the glory of God is done through the help of the Holy Spirit. As Children of God, we are weak, but just like the naturally-birthed children depend, know, and seek for the assurance of their parents, our security lies in God. 3. Thirdly, it means He is in us: God gave us the Holy Spirit to dwell in us. It is the Holy Spirit that guides us every day, in every step of our life, and every decision we need to make. He warns us of dangers and mistakes, and steers us away from sin. He came to deal with our emptiness. 4. Fourthly, He is with us: Rev Leoh shared that there are many lonely people in the world. One of the highest causes of depression and suicide is loneliness. Rev Leoh encouraged that this shouldn’t be the norm. Jesus came to be our companion and the Light of the world; in Him, we find rest. He will never forsake us (Hebrews 13:5). It is this redemptive relationship with God that is the most precious thing to every Christian. Through Jesus, we know that God is right here with us; in worship, work, and rest. That is the Miracle of Christmas. Many of us need to renew our relationship with Him, while some others need to receive and believe in Him. An important key to miracles and transformation in our lives is this belief and trust in God.